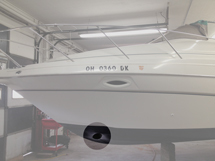 We offer a wide selection of accessory installations to fit your boating needs. 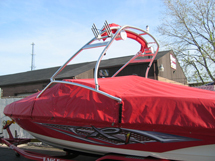 Hamby’s Beach Bumper provides the ultimate protection for your boats bow and keel. 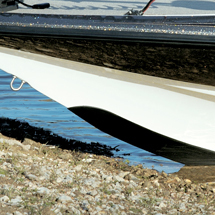 It works on any V-Hull boat and is so tough and resilient it allows you to beach your vessel on rocky shorelines or even concrete launching ramps. 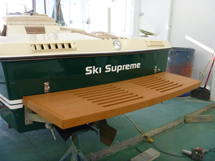 We can design different types of custom swim decks to match your boat. 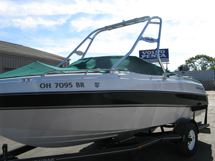 Weather in need of repair, reinforcement, or modification we offer many options to fit your boating needs. 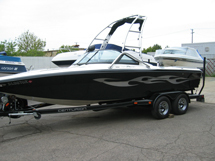 Your trailer can be an overlooked item when it comes to maintaining your boat. A broken trailer can ruin your day just as quick as a breakdown on your boat. Starboard Marine can keep you on the road running safely. 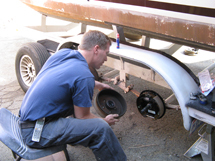 From lights and wiring problems to complete paint jobs, we can handle all your trailer repair needs.